Exceptional customer service and amazing quality. We've ordered this bag every year for the past four years and we will be ordering again soon. Always a great experience. I needed a bag that could withstand heavy loads of groceries and I definitely found that with this bag! Would recommend without a doubt. 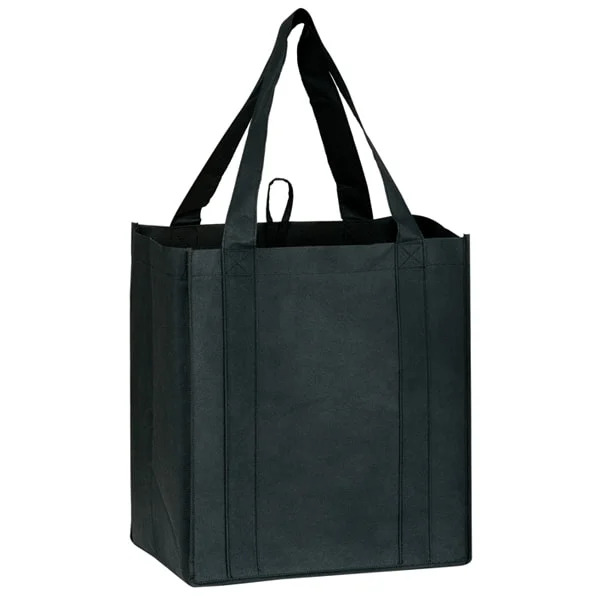 Very durable bag with a nice spacious interior. Couldn't be happier with my purchase with Custom Earth Promos. These bags can really hold a lot! We were so impressed, we've ordered another shipment. The bags came in great condition and have been a hit at the office! My company and I are thrilled to of found you guys. Thanks for providing a great eco-friendly service. The quality of these bags truly amazes me. Perfect for heavy items! We regularly order in bulk from this company. Great bags! We really loved the idea of an earth-friendly product, and they offer so many great items! The high quality of these bags keep us coming back. What a great way to sell bags! Our company is an extremely eco-friendly business, and we were thrilled when we found Custom Earth to order our bags and water bottles from! We have ordered from them all year and haven't had one issue! I have recommended this company to friends and to other businesses, and they all say the same thing! Keep up the good work! Very impressed at the quality of the bags as well as the customer service. Will reorder from Custom Earth Promos. We ordered a large quantity of bags & still received exceptional quality. Pleasantly surprised at the customer service as well as the quality of the bags we ordered. Using an earth friendly product was very important to our staff for our companies big convention. Not only is our company ordering all our bags from Custom Earth Promos, but we started ordering the other eco-friendly products they offer! They have never disappointed us! Very impressed with my recent order. The stitching was marvelously done and the image came out exquisite. Will be ordering again. Superb quality and design. These bags do not disappoint. Really great bags. Sturdy and affordable. So glad we finally found an eco-friendly was to advertise our business! 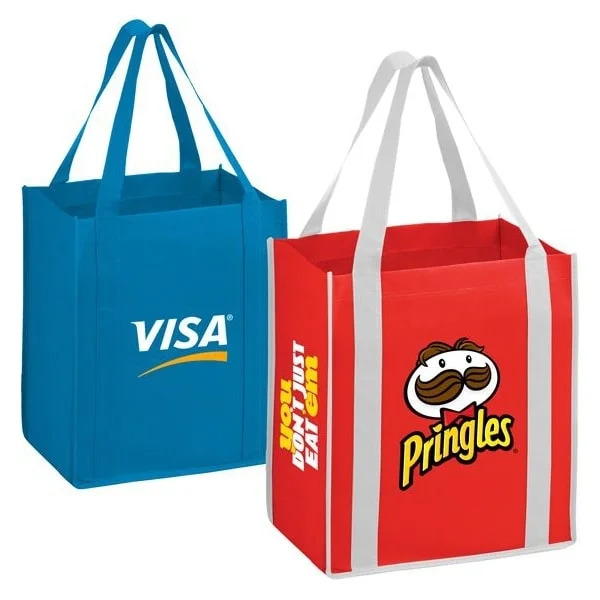 These bags are great for promotional purposes. I had my doubts about how these bags would look when ordered in quantity. However, I was proved to be very wrong. Exceptional quality and appearance! I was a little hesitant to place such a large first order, but was delighted with the results. I will definitely order from Custom Earth Promos again. Really impressed with the graphic designer's attention to detail. My bags look great! There great imprint availability on these non-woven bags. Our logo looked great and really stood our amongst other brands at our convention. 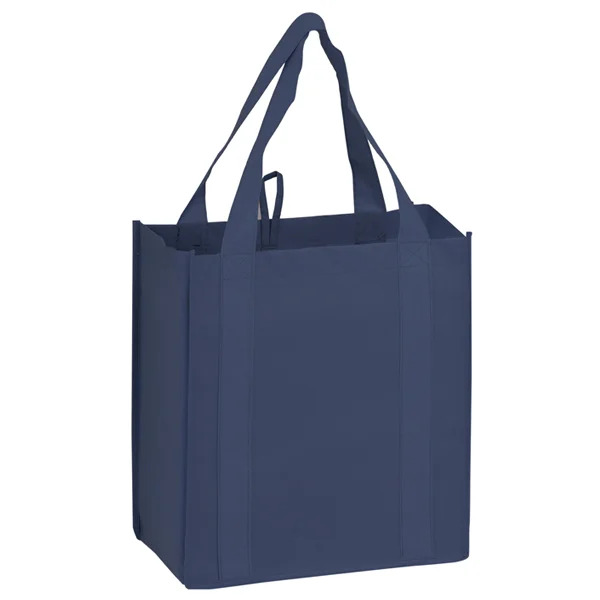 These reusable non-woven bags have been a wonderful item to add to our business. They have definitely allowed us to promote ourselves in an eco-friendly way. I ordered these bags along with some water bottles and lanyards. Everything arrived on time as promised! I kept a few of these bags for myself after my promotional event and was really impressed with their quality. Customer Service was great, and I will definitely be a repeat customer! Exceptional service! I will definitely be back! I was delighted with the work the graphic designer did with my logo. My clients loved it! I was very happy with my CEP experience! After placing an order with CEP, I received my bags promptly and exactly as I had specified. Nearly 2,000 Cubic Inches – Plenty of Room! 5” Wide x 10” High Imprint Area - Great for Tall Logos! This reusable grocery bag is the right combination of quality and affordability, in addition to tons of style! The bright color options of this line of eco-friendly bags makes it the best choice for promoting your business. Designed for more intense use, our recycled, non-woven bags' size and strength can handle heavy loads for serious shopping trips. 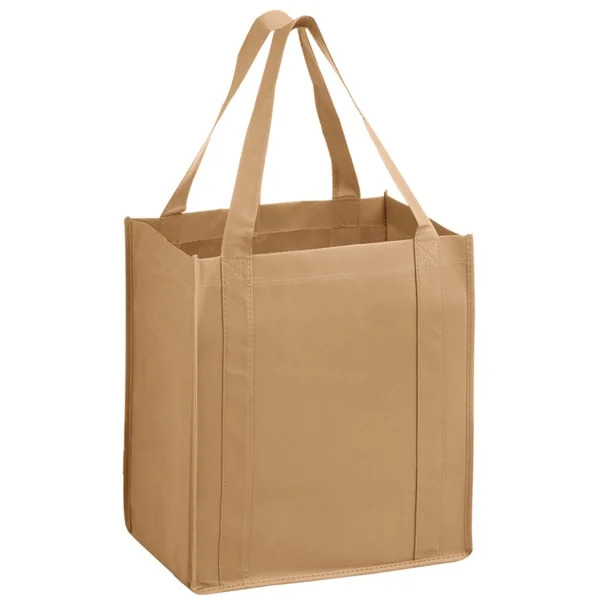 This larger capacity version of these popular bags is made with high density, premium 100 GSM fabric which can support 3 times the contents of a single-use plastic bag, replacing hundreds of single-use bags in its lifespan! This reusable shopping bag has an extra-large capacity, is 30% more heavyweight than average reusable bags, and is engineered with heavy usage in mind. Every detail, down to the stitches per square inch, has been perfected to ensure these eco-friendly bags are sturdy enough to last for years. The double-sided handles are sewn down the entire front and back of the bag for extra stability. 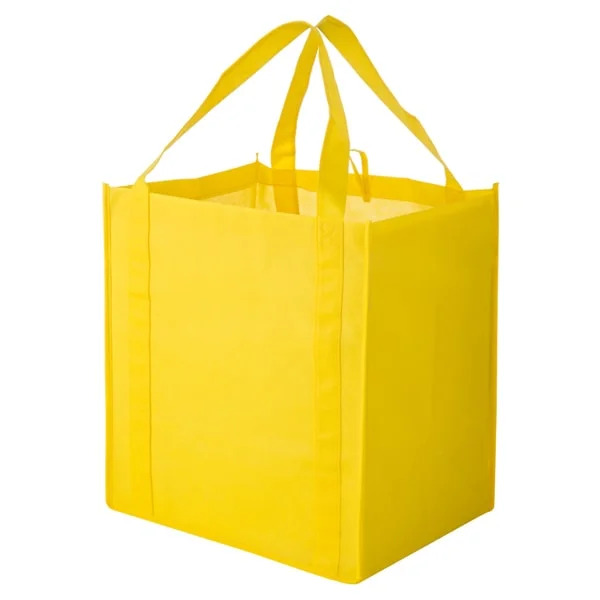 In addition, the 100 GSM non-woven polypropylene material we use is of the highest quality resin.This bag is weight-tested for tensile strength and will not only catch the eye of fellow shoppers, but will also secure its contents while other bags may tear or split. Discover just how far your advertising dollars can stretch when you take advantage of Custom Earth Promos direct overseas prices! If you think custom made reusable grocery bags are only obtainable by large corporations, then think again. Custom orders starting from 1,000 bags receive the same attention to quality construction and crisp imprinting that you have come to expect from Custom Earth Promos. The recycled, non-woven bag produced overseas comes with all the "bells and whistles" of the domestic version, but also features custom trim and handle colors of your choice. The FREE accent piping really makes a statement and frames your logo. A popular custom option for this bag is to sew the handles on the inside of the bag; this way your logo can be expanded beyond the typical handle's constraints without compromising the integrity of the bag. We can also print on all 6 sides: front, back, left side, right side, bottom, and even inside the bottom of our overseas bags.